In all the media hype, hubris and drama which reached fever pitch with Tony Blair’s evidence to the Iraq inquiry, there is one big group in this high profile event that has been cheated of getting access to the facts, the British public. While all the main witnesses and the inquiry team under Sir John Chilcot have unfettered access to the key classified information inside the 40,000 documents so far made available, the public is being rationed with limited fare released only with the agreement of the main Whitehall departments involved. The situation has arisen because Sir John, foolishly in my view, has signed a protocol with the Cabinet Office which effectively gives Whitehall the last word on what documents the public are allowed to see. The document on the Cabinet Office website was signed I believe with honourable intentions to give a framework, based on the government’s own interpretation of the freedom of information act, to which documents should be released. But in doing this Chilcot has given away his independence by allowing the Cabinet Secretariat the final say in any dispute between the inquiry and the foreign office, ministry of defence, attorney general’s department and the Cabinet Office itself over which documents can be released. This pact with the devil is actually highlighted by an entirely different route being taken by a less publicised, official inquiry into Iraq running in tandem with Chilcot, the Baha Mousa inquiry taking place in a venue in the City of London. This official inquiry set up by former defence secretery and Chilcot witness, Des Browne, is trying to get to the bottom of the savage death of Iraqi citizen, Baha Mousa, in Basra while in the custody of British troops. This inquiry is headed by Sir William Gage, a retired appeal judge. Both inquiries are independent, official,and exempt from the freedom of information act. Both state that they are not trying to assign blame and are not putting their witnesses on trial. But there the similarity ends. Faced with same dilemma over documents, Sir William, has taken two ground breaking decisions. He has waived his government exemption from FOI and said his inquiry will run as though it is subject to the Act, allowing the public to put in requests for information that will answered in 20 working days. 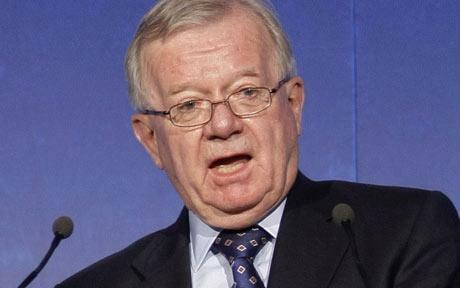 His website states: ” we will operate in as transparent and open a manner as possible in keeping with the interests of justice.” There is no such provision for the Chilcot inquiry. Second, Sir William has made no pact with the devil. The protocol he signed with the government gives him, not Whitehall, the final say in whether documents can be published. I am told he has said if there is a dispute between his inquiry and the ministry of defence over the publication of documents, the MOD will have to go to court to stop him releasing the information. So we have two very different approaches. One process is secret – as the Chilcot inquiry will not say what documents they are in dispute over their release. The other process will become very public -because the ministry of defence will have to apply to the courts to keep documents out of the public domain. There is also an extraordinary by-product of this decision. The Iraqi family of the dead man are rightly getting real British justice that is being seen to be done. The families of dead soldiers who fought for Queen and country in Iraq and the general public are getting inferior treatment – no right to ask for information under FOI and allowing a cosy secret Whitehall club to decide what they should be allowed to see. The only conclusion is that the independent judiciary are a better champion of the public’s right to know than eminent senior civil servants. Sir John is an honourable man but he has sold the British public a pup in his subservience to Whitehall. This post is also on Comment is Free on the http://guardian.co.uk website. This entry was posted in Uncategorized and tagged baha mousa, freedom of information, iraq inquiry, sir john chilcot, sir william gage. Bookmark the permalink. This post was very nicely written, and it also contains many useful facts. I enjoyed your professional way of writing the post. Thanks, you have made it easy for me to understand.